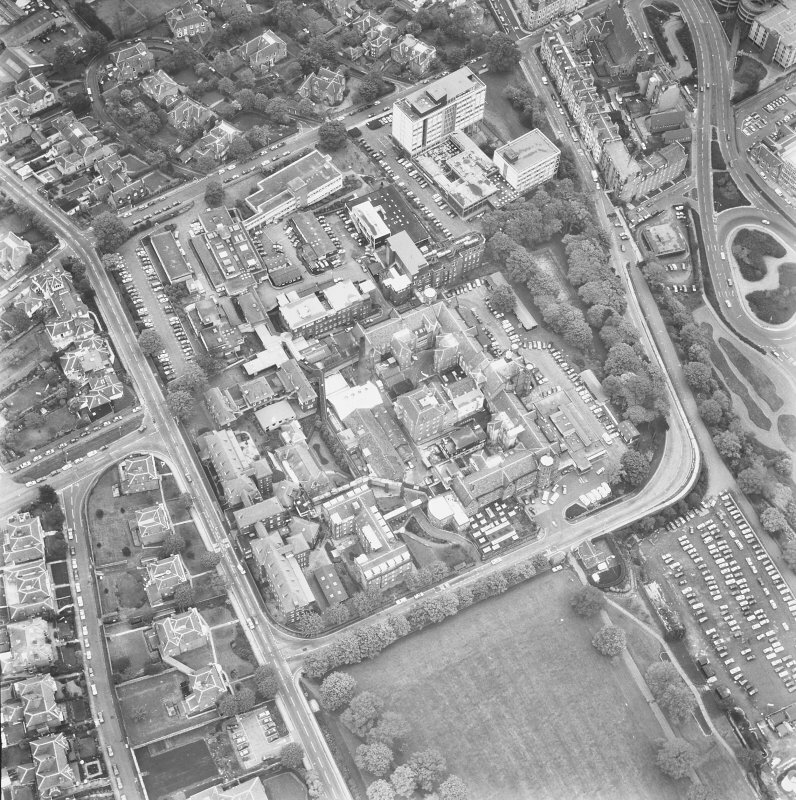 Oblique aerial view centred on the hospital, taken from the S.
Oblique aerial view of the hospital taken from the E.
Oblique aerial view of the hospital taken from the N.
Oblique aerial view of the hospital taken from the NNE. 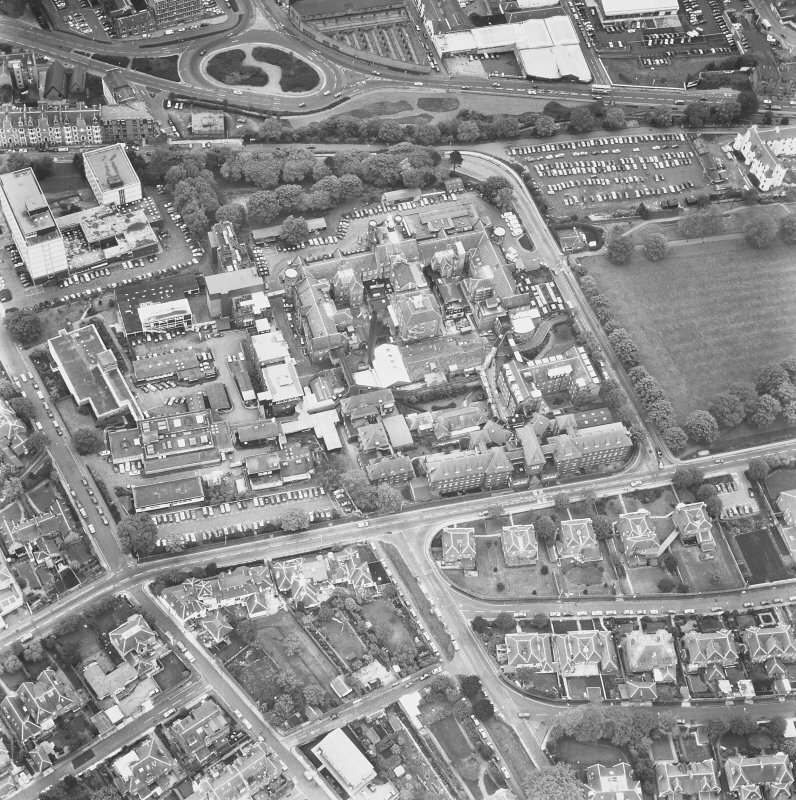 Oblique aerial view centred on the hospital, taken from the E.
Oblique aerial view of the hospital taken from the SSW. 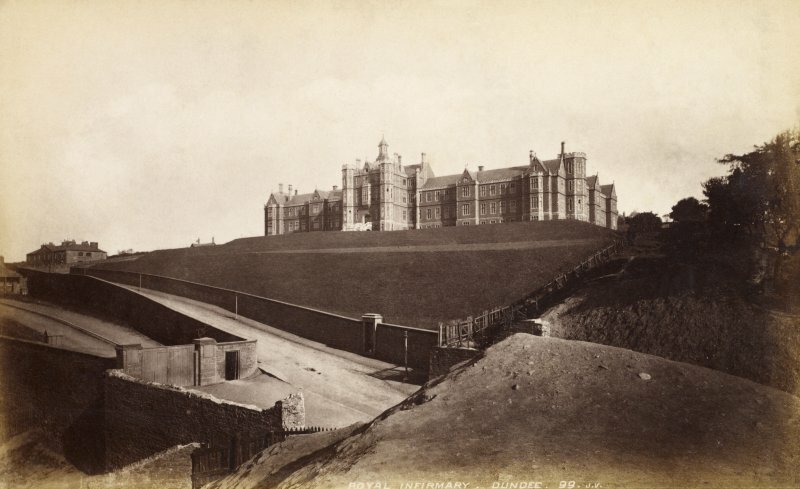 View from South with Infirmary in distance. 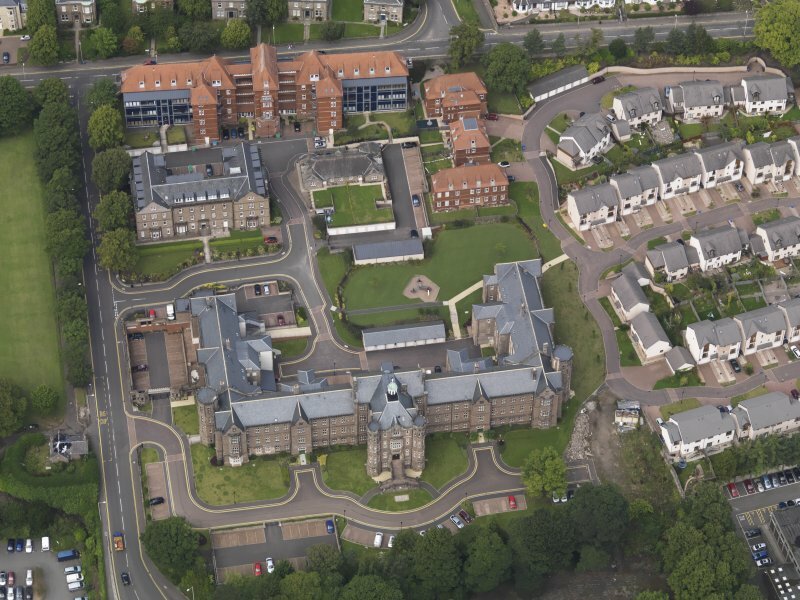 Oblique aerial view of the hospital taken from the SE. 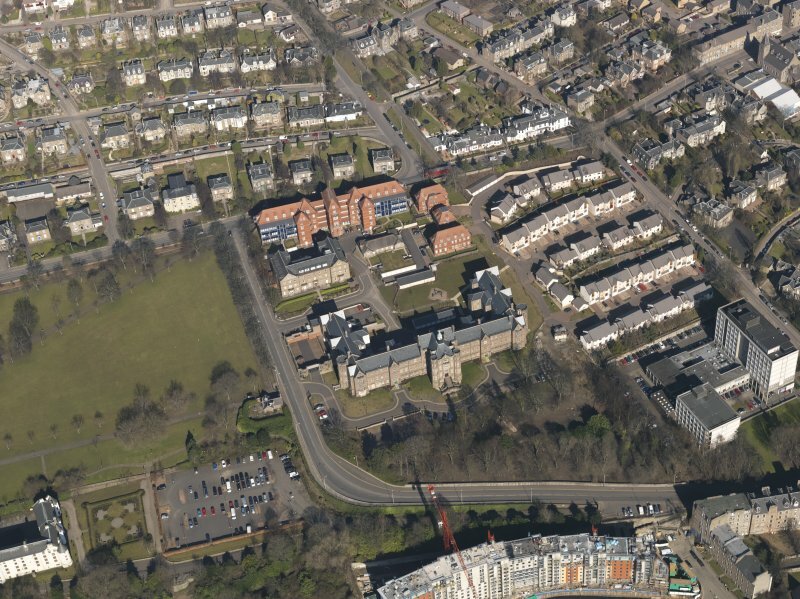 Royal Infirmary, Dundee, 99, J.V. 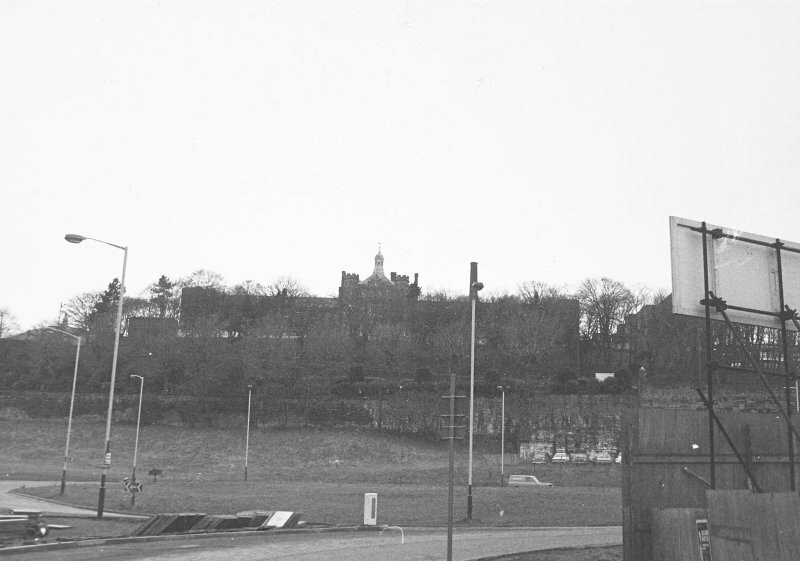 PHOTOGRAPH ALBUM No 67: Dundee Valentine Album. 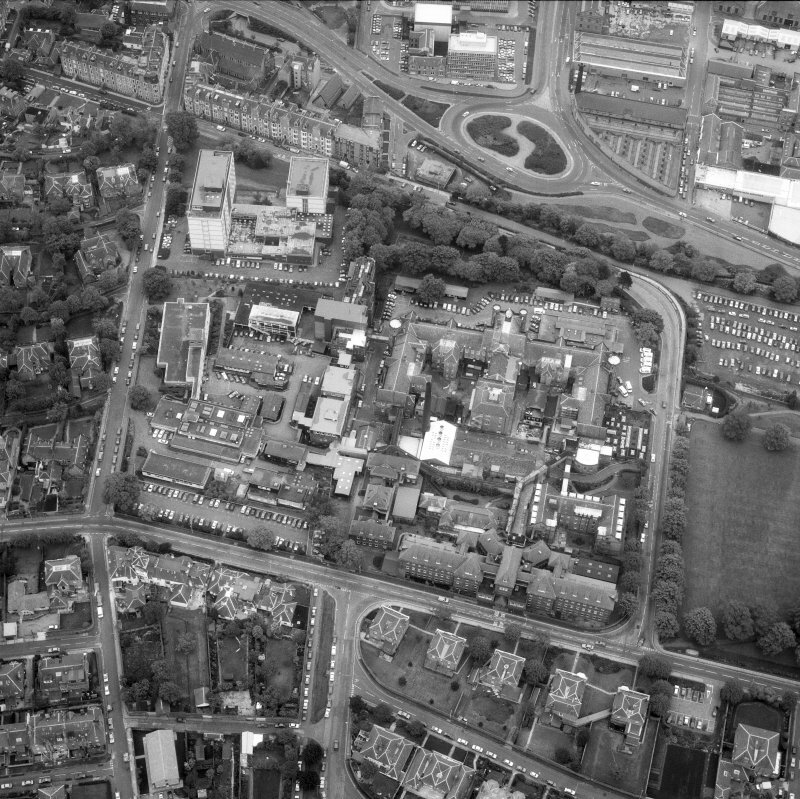 Oblique aerial view centred on the hospital, taken from the SE. 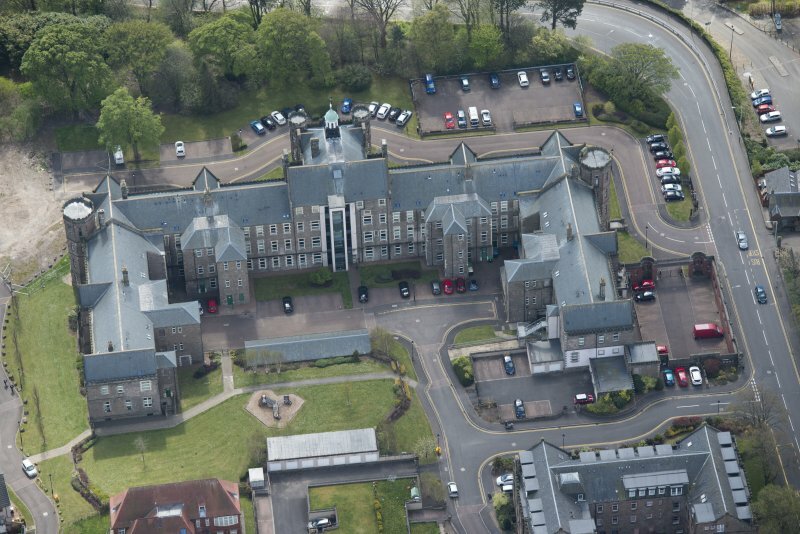 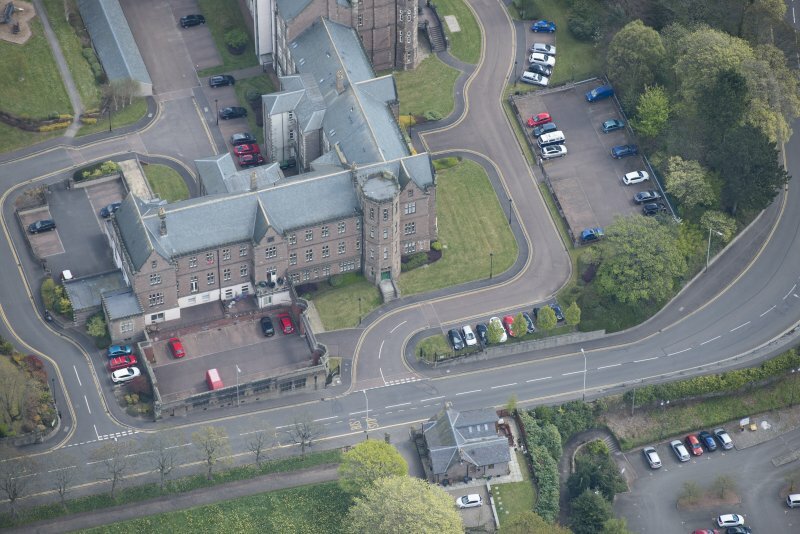 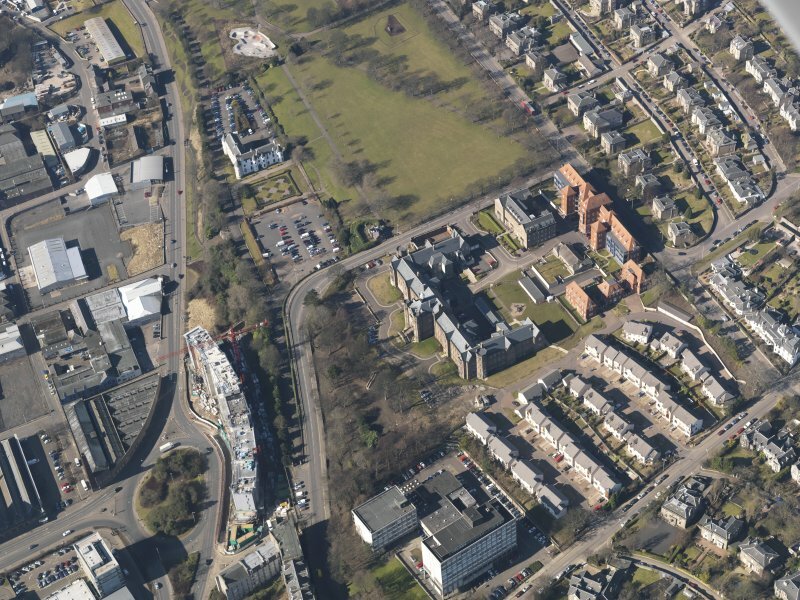 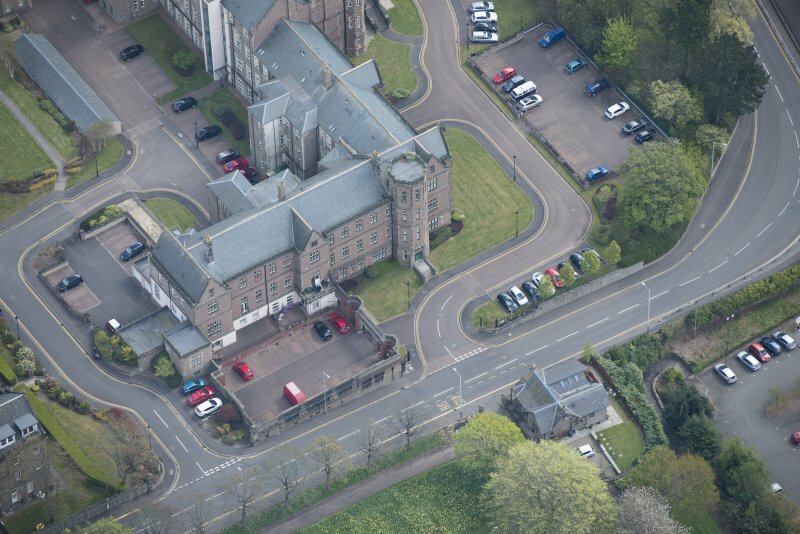 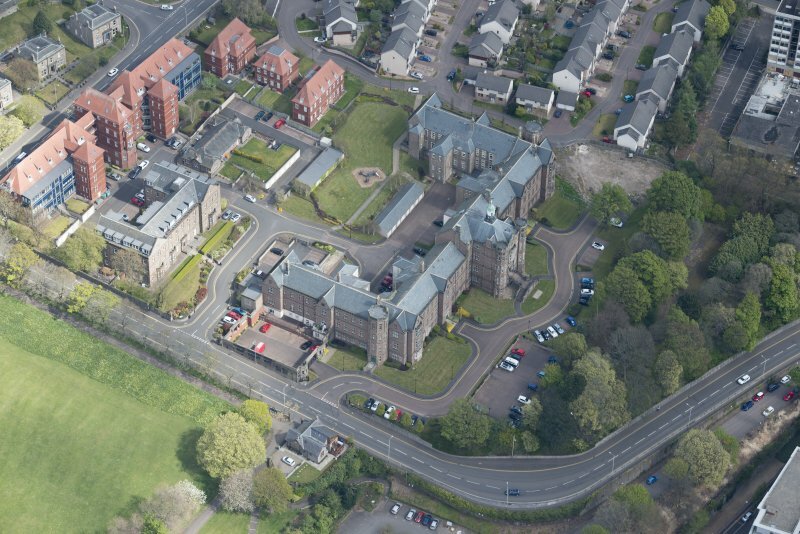 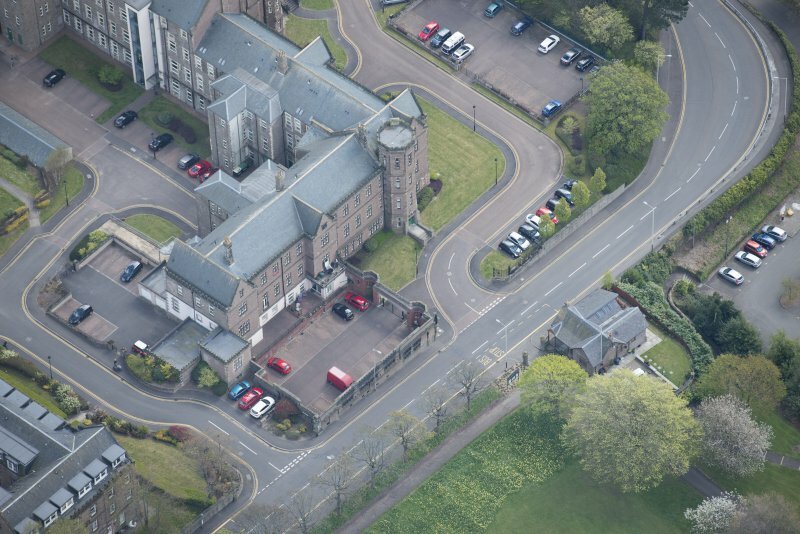 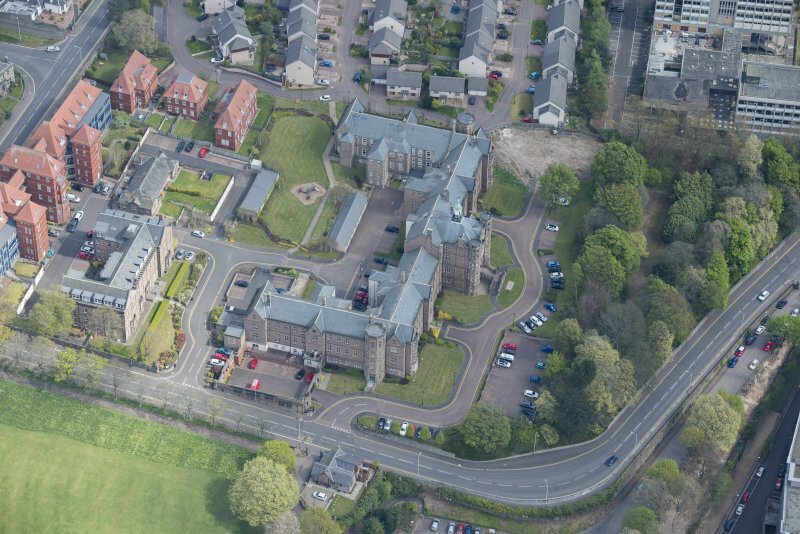 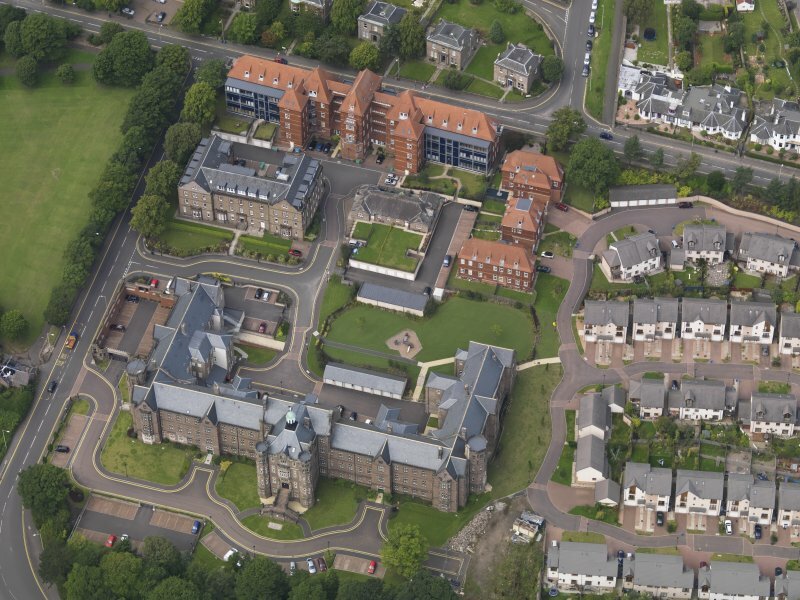 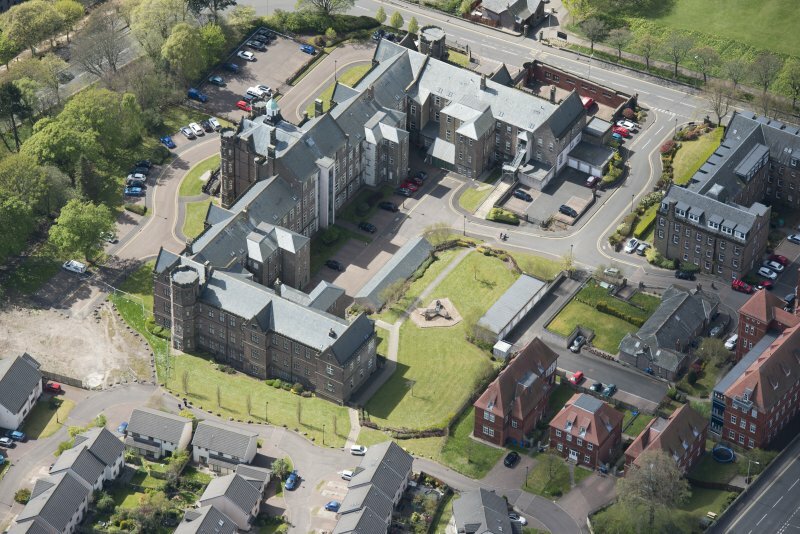 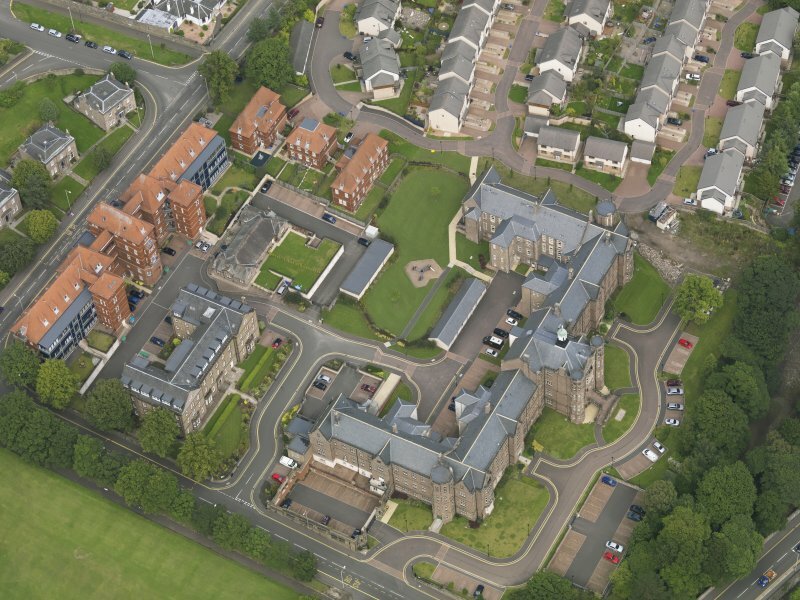 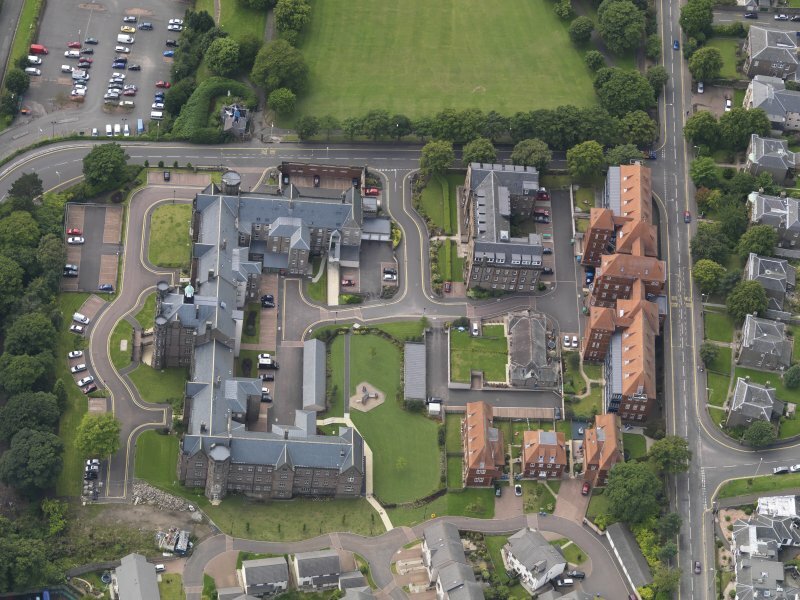 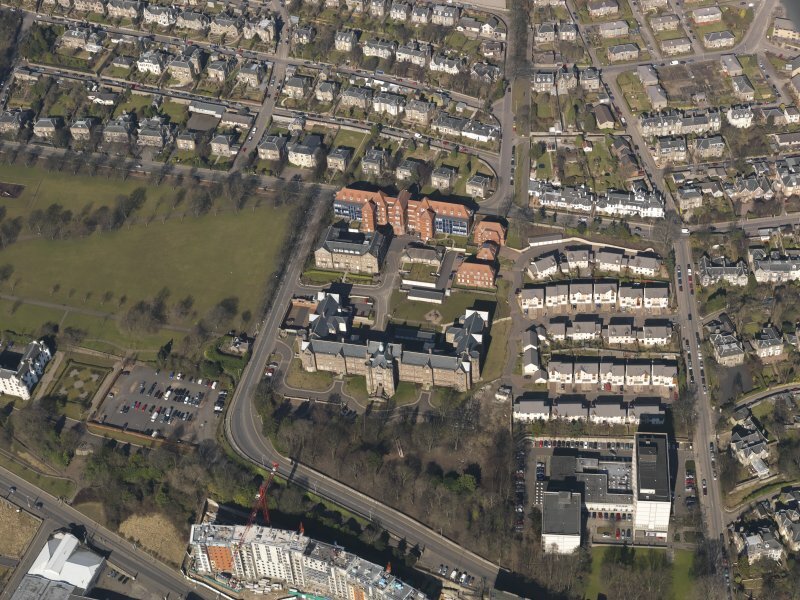 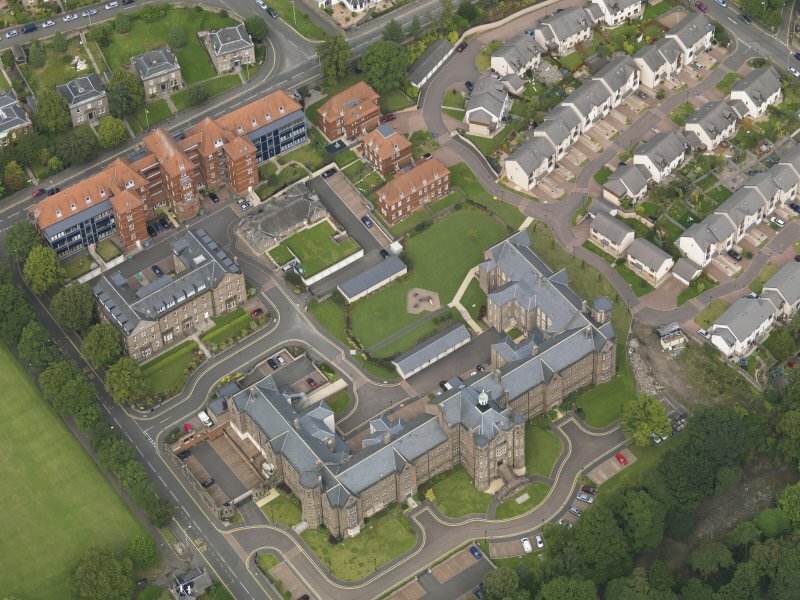 Oblique aerial view of the hospital taken from the SSE. 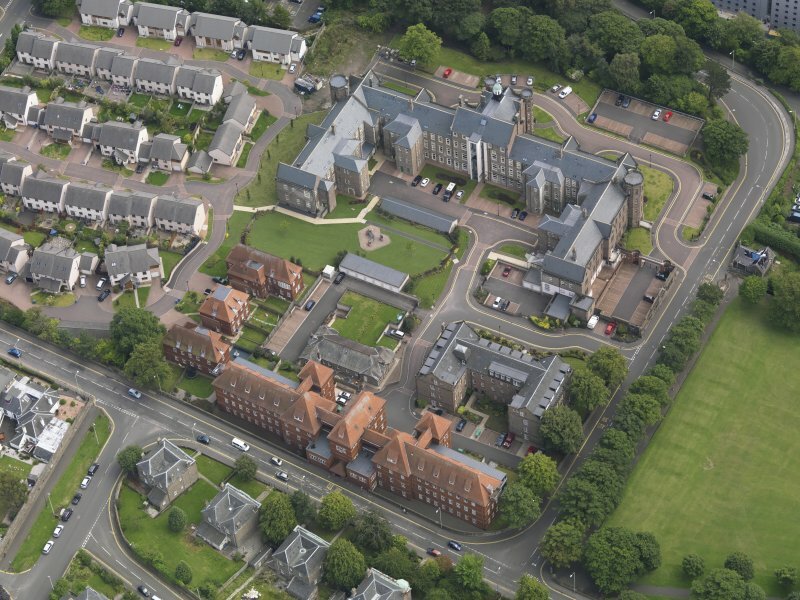 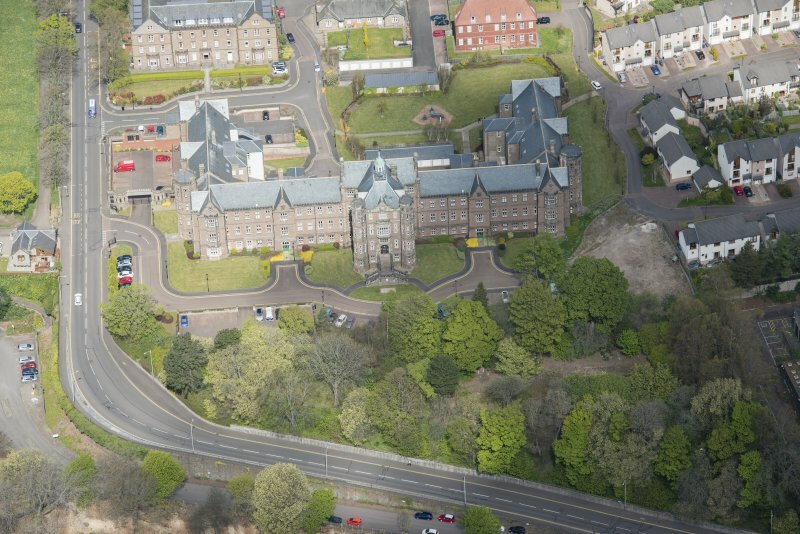 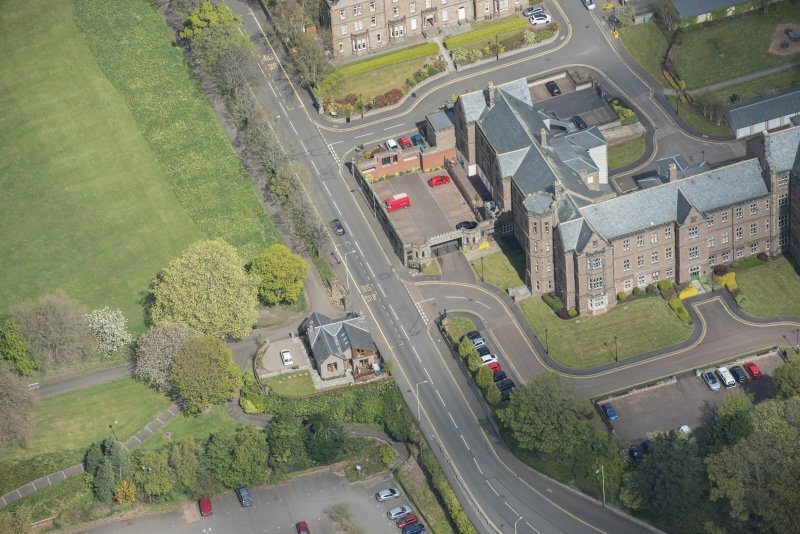 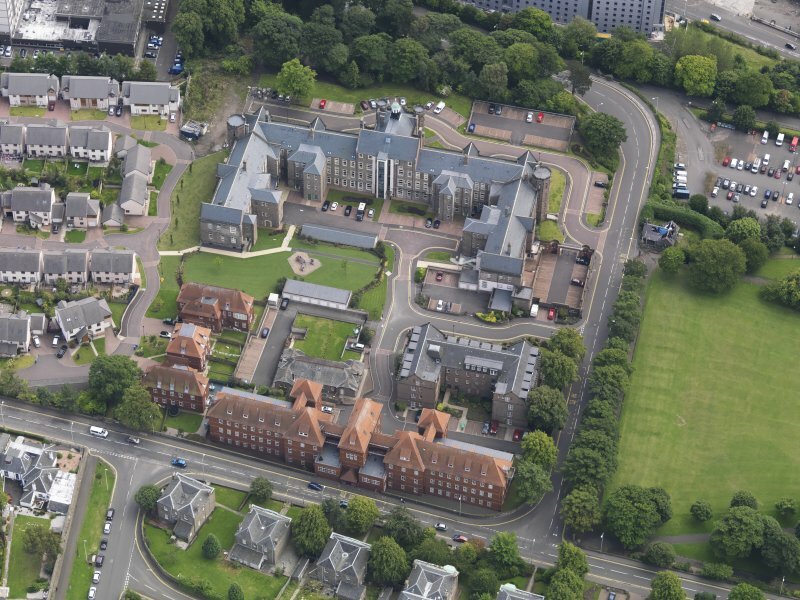 Oblique aerial view of the hospital taken from the S.
James Findlay, Stewart and Robbie 1906 - Caird Cancer Hospital.